Jocelyn Spaar is a poet, translator, artist, and curator living and working in New York. Her poems, drawings, and translations have appeared in Bridge, Gigantic, The Magazine of the Artist’s Institute, The Paper Nautilus, The Paris Review Daily, Stonecutter, Storychord, Vice, and elsewhere. She has translated work for Archipelago Books and New Directions, and, with Kit Schluter, translated Amandine André’s Circle of Dogs, which she also illustrated (Solar Luxuriance, 2015). 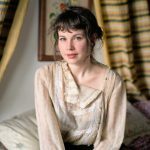 She is the illustrator of Cream by Cecilia Corrigan (Capricious, 2016) and has exhibited her drawings, films, and text-based installations at the 2ANNAS film festival, Apt. 302, The Bridge PAI, Knockdown Center, NOoSPHERE Arts, Printed Matter’s NY Art Book Fair, and Ugly Duck. She most recently curated the exhibition Elective Affinities: A Library at the Hunter College Art Galleries. 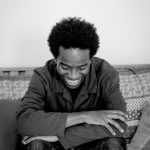 Kayo Chingonyi was born in Zambia in 1987, and moved to the UK at the age of six. He is the author of two pamphlets, Some Bright Elegance (Salt, 2012) and The Colour of James Brown’s Scream (Akashic, 2016). His first full-length collection, Kumukanda, will be published in June 2017 with Chatto & Windus. In 2012 he represented Zambia at Poetry Parnassus, a festival of world poets staged by The Southbank Centre as part of the London 2012 Festival. He was awarded the Geoffrey Dearmer Prize and shortlisted for the inaugural Brunel University African Poetry Prize and has completed residencies with Kingston University, Cove Park, First Story, The Nuffield Council on Bioethics, and Royal Holloway University of London. He was Associate Poet at the Institute of Contemporary Arts (ICA) from Autumn 2015 to Spring 2016, and has curated events for Stirling University, The Southbank Centre, Hackney Council, The Freeword Centre, among others.